Whenever we get close to school vacation breaks or whenever I’ve finally banked so many vacation days at work that I have to start taking time off (or else lose it), our family mentally begins preparing itself for spending a whole lot of time in the family car. We start making mix playlists for the iPod, we start buying local-color travel guides for the freeways we’ll be traveling, we stock up on Trader Joe’s snacks, and we mark every Panera, Starbucks, and Chick-Fil-A on our Google Map printouts (good eats and reliably clean bathrooms). We’re a car trip family, plain and simple, and our daughter, as a result, has had to become comfortable with sitting for very, very long stretches of time strapped in a backseat booster. She’s five now and she’s suffered through multiples drives from Michigan to various road-trip destinations – Chicago, Philadelphia, Cape Cod, Brooklyn, Atlanta, Nashville, and many, many trips to Florida to visit family. And, knock on wood, for the most part, she’s been amazing in the car. She chills out, she doesn’t complain, she enjoys the journey, and, best of all, she almost NEVER watches the portable DVD player we secretly bring on each trip as our “weapon of last resort.” She basically just has four main criteria for giving us no hassles on a car trip – As parents, we need to bring 1). Music she likes, 2). Lots of snacks, 3). Some toys (normally action figures) to play with, and 4). A metric TON of books. And that seems like a pretty fair deal to me. If I’m going to strap her into the backseat of a car for two days in a row, with no control over where she’s going and no ability to unbuckle herself and move around, the LEAST I can do is let her bring as much reading material as she wants. So, inevitably, we end up bringing one overflowing, ridiculously heavy tote bag full of books on each trip. And, over the years, I’ve received a fantastic education on which kids’ books work well for road trips and which don’t. I’ve watched my daughter destroy an $18 Caldecott winner ten minutes into the trip and never look at it again, and I’ve watched a $5 bargain table book from Barnes & Noble captivate her interest across three states. Road trip books are a unique breed, but there are a few simple rules and constants that, for me, have really helped define what books are worthy to spend 20 hours in the backseat resting on my daughter’s lap. So, as a service to all the other current and future car trip families out there, here are my picks for eight essential road trip books for kids. 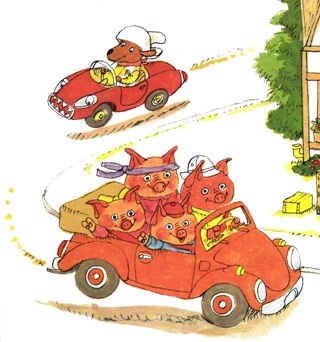 I’m just going to put this out there – Richard Scarry books are, hands-down, the BEST road trip kids’ books of all time. They really are. And many of the reasons why this is true that go well beyond Scarry’s obvious skill as a storyteller and illustrator. First, normally, Richard Scarry’s books are HUGE, which is PERFECT for a car trip. His books, like Cars and Trucks and Things That Go, are large, wide but thin hardcovers that give kids 60+ pages of reading material. (They’re also crazy durable and fit easily into tote bags.) When a kid opens a big Richard Scarry book on their lap in a car, they’re opening up a whole new visual world for them to lose themselves in. The opened book almost takes up their whole field of vision, which is GREAT for a road trip. It makes the reading experience that much more immersive and engaging. Next, Scarry packs a ridiculous amount of detail into his two-page spreads. One spread might have forty vehicles, a whole town map, multiple animal families doing multiple things, 30+ jokes, and tons of visual easter eggs and hidden pictures for your kids to obsess over and while away the hours with. (My daughter really loves trying to find Goldbug and Lowly Worm on each page.) Scarry gives his young readers an experience akin to looking at an illuminated manuscript or a medieval tapestry or a Diego Rivera mural – they could flip through Scarry’s illustrated tableaus for days and still discover new details that hadn’t jumped out at them before. 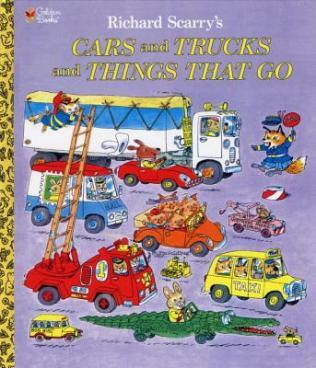 Scarry’s Cars and Trucks and Things That Go is a particular favorite because it’s really funny – there’s a running joke about the police chasing down the delinquent Dingo Dog that my kid adores – and it’s thematically perfect for reading in the car. Cars and Trucks and Things That Go is like a travelogue of the most insane freeway ever, filled with every variation of car or truck imaginable, so it’s a fantastic visual companion for a kid who’s stuck watching traffic out their window all day. While Cars and Trucks and Things That Go seems made for road trips, any of the large format Scarry books work well too – we’re also big fans of Scarry’s Great Big Schoolhouse, Scarry’s Favorite Storybook Ever, The Adventures of Lowly Worm, and the compilation of his Sam and Dudley mysteries, The Great Pie Robbery and Other Mysteries. We’ve taken at least one Scarry book with us for every car trip we’ve gone on for the past three years and I don’t see that trend ending anytime soon. 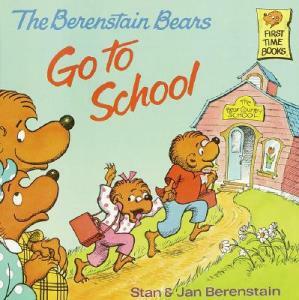 On a creative level, Stan and Jan Berenstains are really skilled visual storytellers and, even if your kid isn’t reading yet, they can follow the action via the illustrations and still understand the majority of the story. Plus, in my experience, on a road trip, kids tend to pick a few items to obsess over – a particular toy, a CD, a book series – and they spend the majority of the trip ridiculously focused on those items. If your kid is into series fiction, find AS MANY of those titles as you can manage and bring them with you. I think the recurring characters and familiar story structures really sit well with kids trying to pass the time in the backseat. Madeline is a classic of children’s literature, but not all classics work well in the backseat of a car on the second day of a never-ending road trip. However, the Madeline books have some unique qualities that make them really strong backseat reading. First, they’re big books – again, giving your kid big, visual vistas to lose themselves in is a good thing on the road. Second, they’re inexpensive and widely available in durable paperback form. Third, Bemelmans’ illustrations are just breathtaking. His characters are these expressive, lovely comic strip people who are dropped in the middle of these gorgeous painted spreads that evocatively bring to life some of the most beautiful places in the world (Paris, London, Rome). The text is accessible for younger readers and most Madeline books have a definite feeling of “we are going on an adventure” that plays well with restless minds on the road. Madeline is a wonderful tour guide into Bemelmans’ visual worlds and, as readers, she takes us on these trips across Paris, into the backyard of the naughtiest boy in the world, through the streets of London, and beyond, and this spirit of the “journey” in Madeline’s adventures is a great mood-setter for setting off on a big family trip. 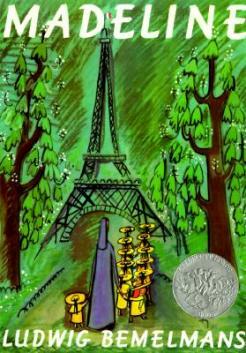 Madeline is definitely one of our favorite travel books. So what are some good nonfiction suggestions? Mostly, I’d say try to find some material that really speaks to what your kid is interested in at the moment. If your kid is into space, grab some astronomy books or coffee table books on the space program from the bargain shelves at your local bookstore. (Just a reminder, I love giving kids coffee table books.) If your kid is just generally inquisitive, get them one of the “Visual Dictionary” books that DK Books publishes. 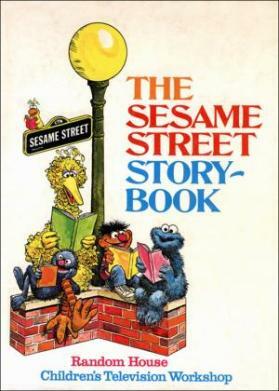 For my kid, she loves coffee table books like Jim Henson: The Works or Of Men or Muppets. Usborne Books also publishes some very cool lift-the-flap science titles that my daughter enjoys. 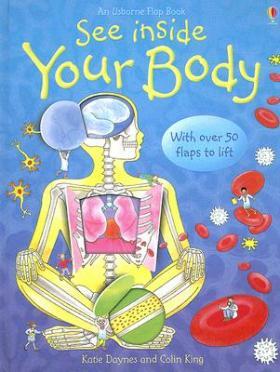 They have a See Inside Your Body book where kids can lift flaps to see kid-appropriate cross-sections of the human body, and they have a fantastic See Inside Famous Buildings title where kids can open flaps and look inside structures like the Great Pyramids, the Empire State Building, etc. By just finding some nonfiction titles that broadly hit topics that your child is interested in, you can give them hours of really engaging backseat reading material. Remember when I said big books are ideal for road trip reading? Well, There’s a Wolf at the Door is easily one of the biggest books we own. It’s almost too big. Finding a shelf to fit it on can be a pain and, while it is long and thin, you might actually find it a little too unwieldy to actually take along on a car trip. Before you even think about taking There’s a Wolf at the Door on the road, you might want to make sure that your kid can actually hold it up with their own two hands. (Also remember that there is an element of balancing it on their lap in the backseat.) 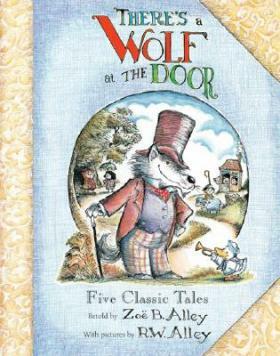 So… now that I’ve gotten the negative out of the way, let me say this – There’s a Wolf at the Door is a big, beautiful book that we’ve taken on several car trips and my daughter thinks it’s hilarious. The Fly Guy series is a really strong series of early readers that are tailor made for kids who are just starting to read on their own. Tedd Arnold‘s stories – about a boy named Buzz and his pet fly, Fly Guy – are entertaining and expressive and do a really nice job of creating simple, direct narratives that kids can easily grasp and enjoy. 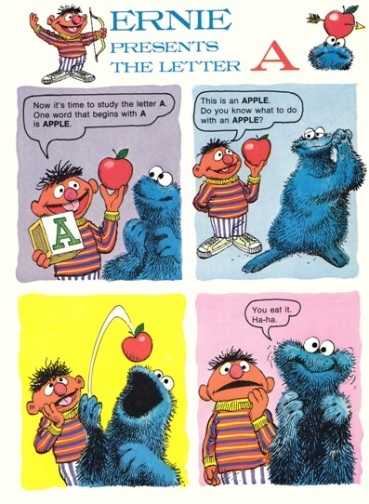 These small hardcovers – again, ideal for bringing into a restaurant – are extremely readable and, like the Berenstain Bears series, you might find your child semi-addicted to the adventures of Fly Guy. (And remember, on a car trip, indulge in those obsessions.) 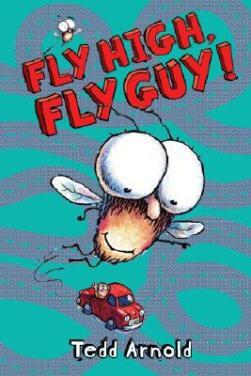 The first Fly Guy book, Hi Fly Guy!, is the ideal starting point, but if you’re looking for something a little more thematically appropriate, try Fly High, Fly Guy!, a fun story where Fly Guy tags along on a family road trip and, in the end, has to use his amazing fly-powers to help Buzz’s family find their way home. Some parents might regard this as a kind of cheat, but I’m a fairly unapologetic fan of the LeapFrog Tag Reader and I think that Tag Books can be great reading resources for certain kids. For those unfamiliar, the Tag Reader System is an electronic pen that, when used with special Tag-brand books, can do a lot of different things. 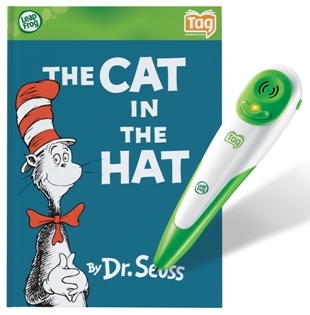 The Tag pen can read specific words from the book to your child, it can read the whole story, or it can interact with the book, making characters talk or playing games that are embedded right on the pages of the book. Some parents don’t like the Tag because they see it as the equivalent of a video game, but I don’t agree with that. While, sure, I agree that the LeapFrog Tablet – a kid-appropriate iPad knockoff – is definitely almost a personal gaming system, I like the Tag Reader because it is tied to the art of reading a physical book and it is completely piloted by your child’s own interest in that book. While some learning video games walk your kid through every step, the Tag pen is largely a tool of exploration. It won’t do anything until your child decides to use it in some fashion. Your kid has to highlight a word, click on a page icon, or participate in a game before it will do anything and it works completely at the pacing and whims of your kid. The selection of available Tag books could definitely be better. Most of the titles that they sell at Target are based on cartoons or movies and there are only a few based on “classic” works of kids’ lit. However, I have sat and watched my child read a Tag book word-by-word and, when she got to a word she didn’t know, she highlighted it, heard the pronunciation, learned the word, and moved on – all by herself. It was amazing to watch and it gave her a sense of self-empowerment while reading that really helped her reading confidence. And, if your child is going to sit for 20 hours in a hot car, there is something to be said for giving them some bells and whistles to play with. I prefer the bells and whistles of the Tag Reader, as opposed to a tablet or a Nintendo DS, because the activities are all book-based and, once your kid gets tired with the pen (and they will get tired of ANY device you bring with you), they still have an honest-to-god, printed-on-paper BOOK to flip through as you cruise down the interstate. It’s win-win. Did I miss one of your favorite road trip books for kids? If so, I want to know! Leave a comment below – that way we just keep adding to the list – OR, if you’d prefer you can email me or send me a message via Twitter. Thanks! Thank you for your incredible suggestions! Getting ready for a 14-hour one way road trip with 3 boys 3 and under. You saved me a lot of time that I would have spent wandering in the library. Just put 20 books on hold thru the library website. Thank you! Oh, awesome! I’m glad you found it useful. My son really enjoys Peter Spier books – they’re similar to Scarry’s books as they have a ton of detail in them. We’ve also had success with the 20th Century Children’s Book Treasury as there are so many stories. But ultimately one epic road trip the favorite was the new Lego catalog.